Few chronographs can boast of having the true precision of a chronometer. The new DS-2 Chronograph – with its ETA PRECIDRIVE movement, can make the claim and prove it – with added good looks nothing short of breathtaking. Gorgeous detailing, faultless precision, available in either a standard or Limited Edition version (with COSC certification), to please all watch connoisseurs. 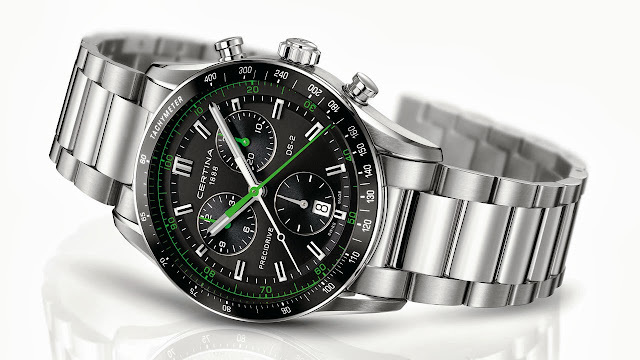 The real power of chrono timing comes alive in its true, measurable accuracy. 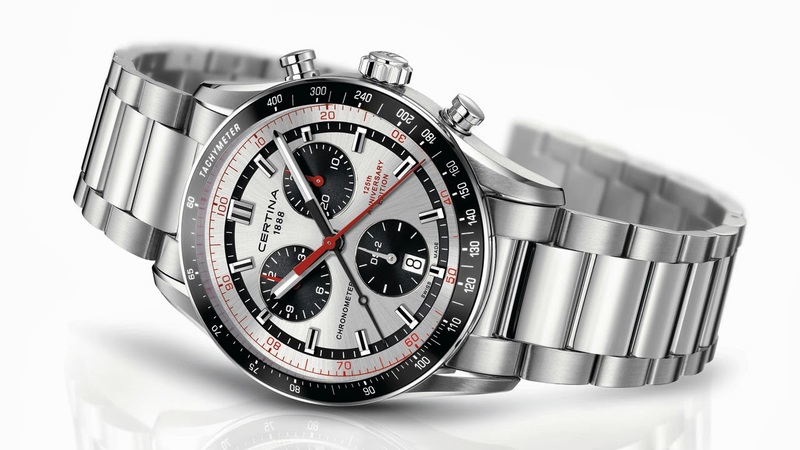 The CERTINA DS-2 Chronograph has at its core the new Swiss Made ETA PRECIDRIVE quartz movement, with 1/100th-sec. accuracy and 12h, 30m, 60s functions and date. This new cutting-edge movement offers the precision of a chronometer in a sporty and handsome timepiece available in a variety of models, including a Limited Edition version (only 1888 units). Behind the sporty elegance of the DS-2 and its brushed/polished 41mm stainless steel case, rounded anti-reflective sapphire crystal and tachymeter-scale aluminium bezel, the dial is an impressive design composition. In the standard version, it is a handsome black colour behind coloured hands. 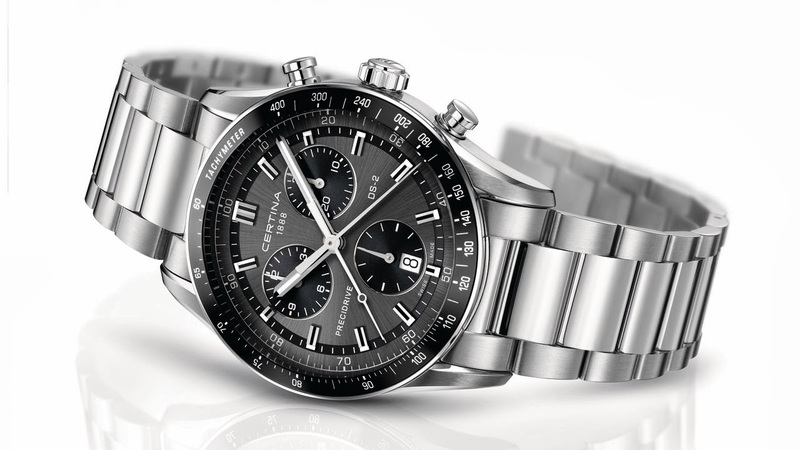 In the Limited Edition, it wears an elegant silver dial and black snailed chrono counters, with nickelled-black hands and indices and a three-row brushed/polished stainless-steel bracelet. Superluminova is applied to the hands and indices. 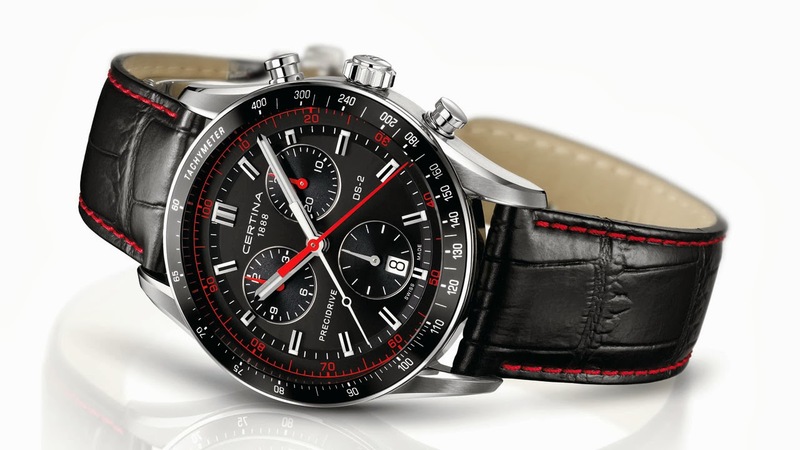 The standard and Limited Edition models feature the same extraordinary accuracy and world-renowned CERTINA reliability, thanks to the DS Concept, which ensures water resistance up to a pressure of 10 bar (100m). The Limited Edition version is delivered with written COSC certification and special display box. Both models carry the new CERTINA turtle symbol on their case-back and the Limited Edition also shows an engraved unit production number. Leather strap models feature a folding buckle with twin push-buttons, and those with a stainless-steel bracelet are equipped with a butterfly buckle with twin push-button closure.